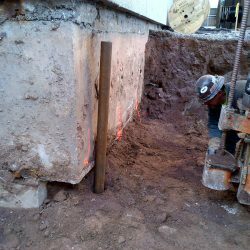 This ring beam foundation for a water tank was 2.5’ thick x 8’ tall x 35’ diameter. 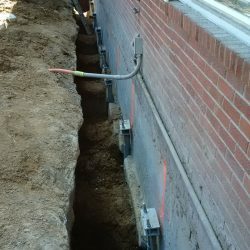 When the tank was installed and started to be filled with water, it compressed the organic material just below the bottom of the foundation, which end-ed up sinking 5 -3/8”! 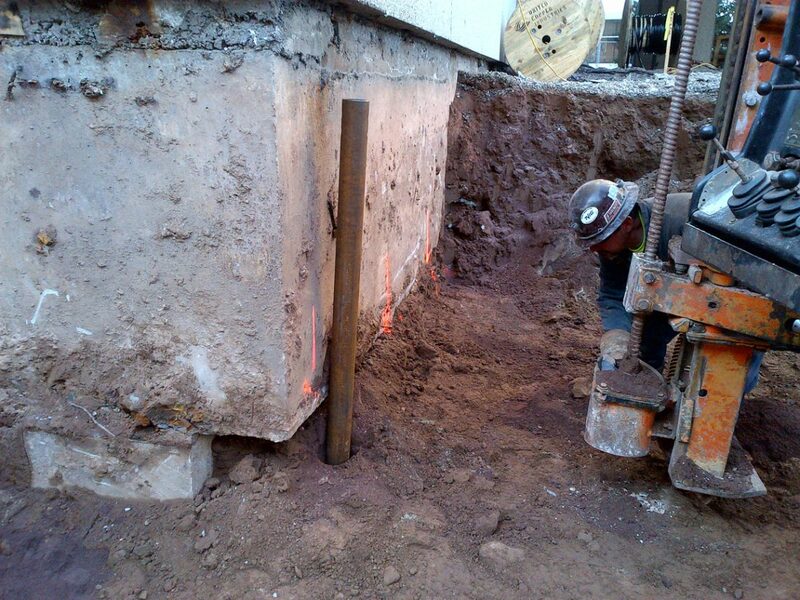 CMI excavated down to the bottom of the foundation and installed 16 Stelcor grouted piles about 30’ below grade. 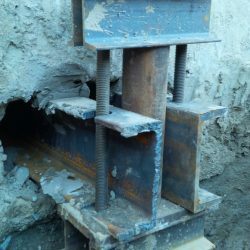 These piles were load tested to 60 Tons! 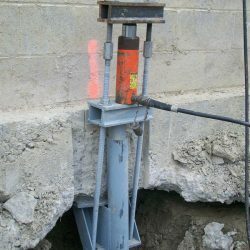 Counterforce underpinning brackets were then installed on each pile and the sinking foundation was transferred to the pile system. 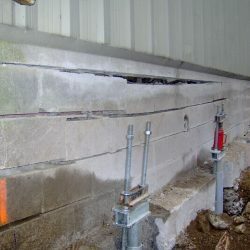 Hydraulic jacks were used to lift the structure back to it’s original elevation. 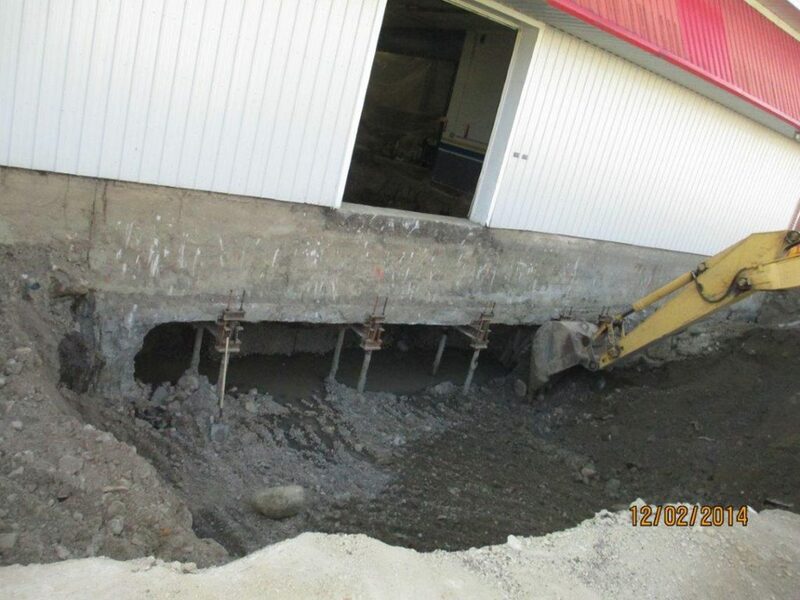 After backfilling, CMI installed 33 Stelcor piles in the floor area, and a structural concrete floor was poured on top to support the rest of the tank load. 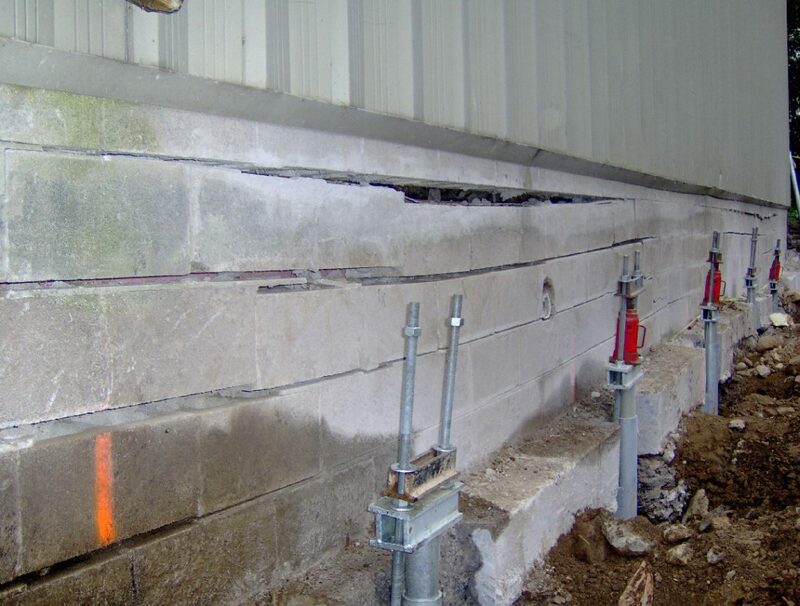 This project had contaminated soil that needed to be removed in order to make the building sellable. 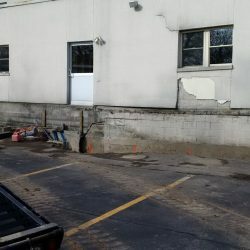 The challenge was that the building was also sitting on the contaminated material. 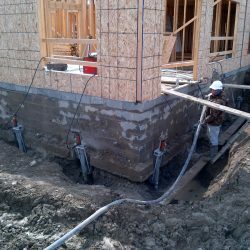 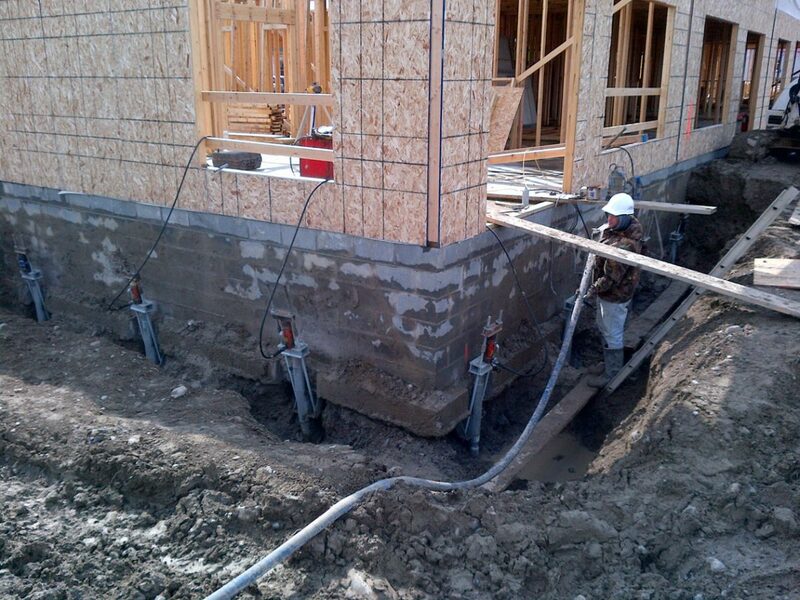 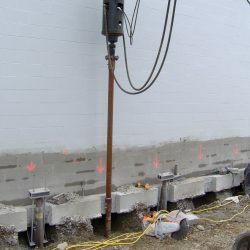 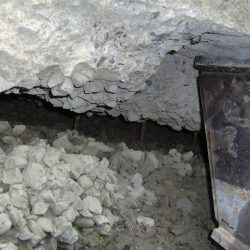 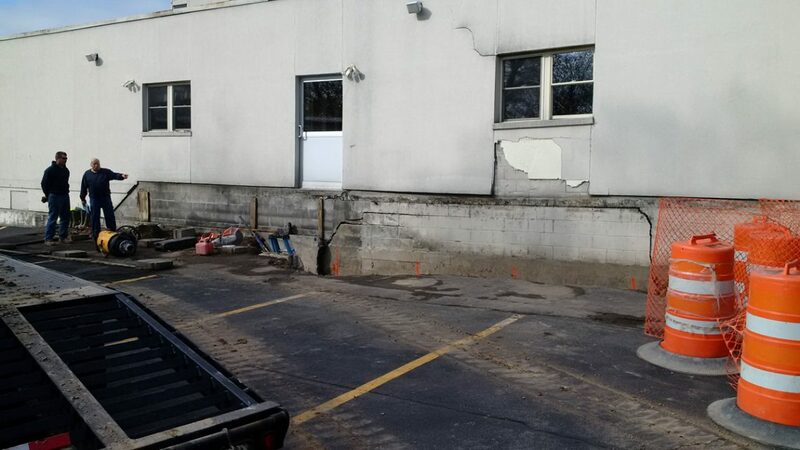 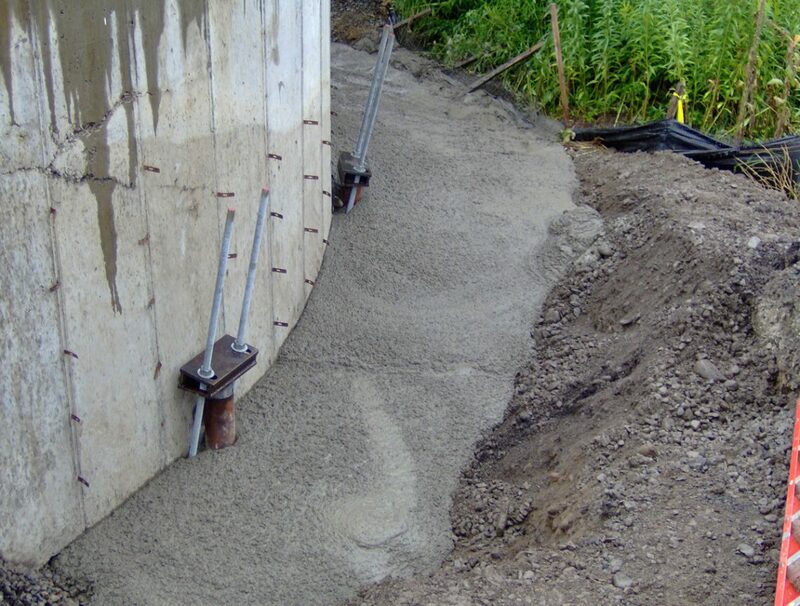 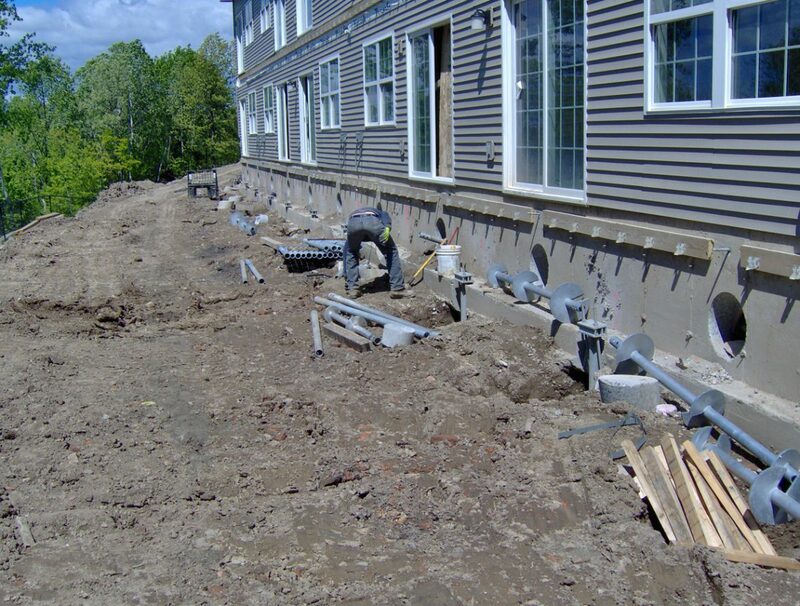 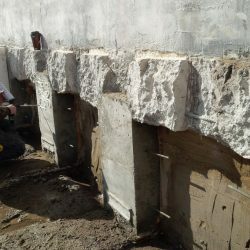 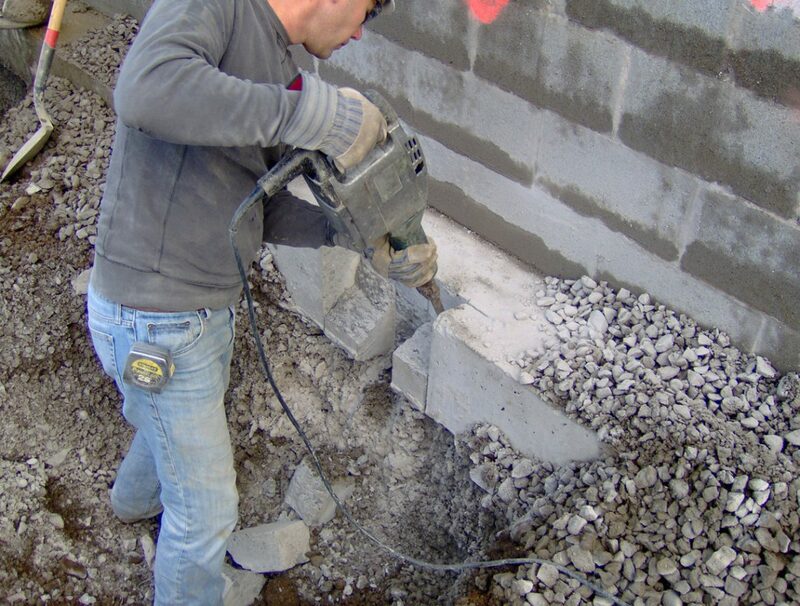 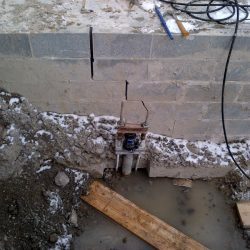 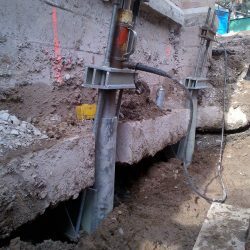 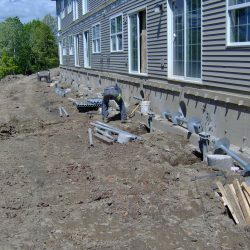 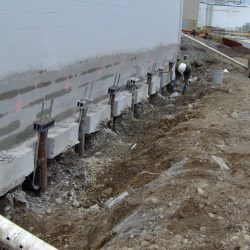 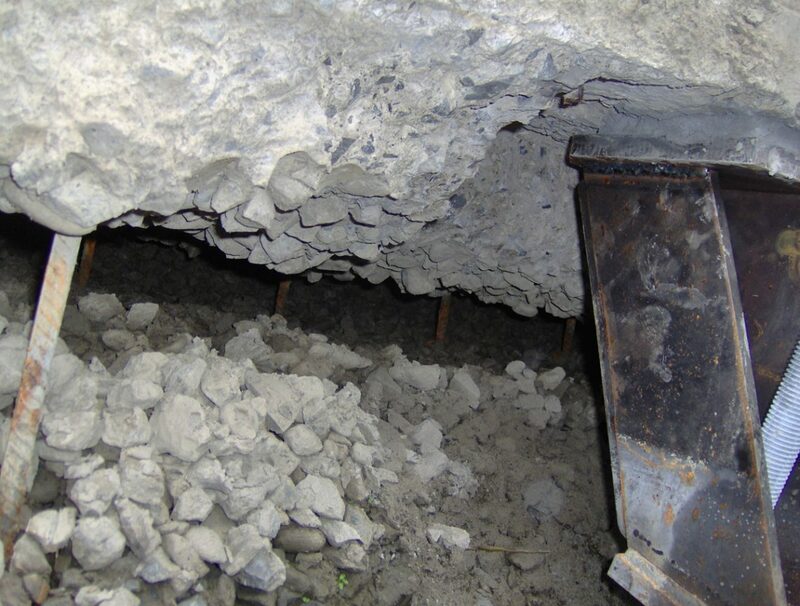 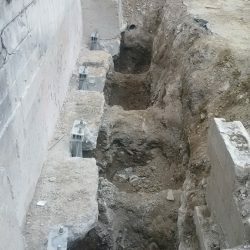 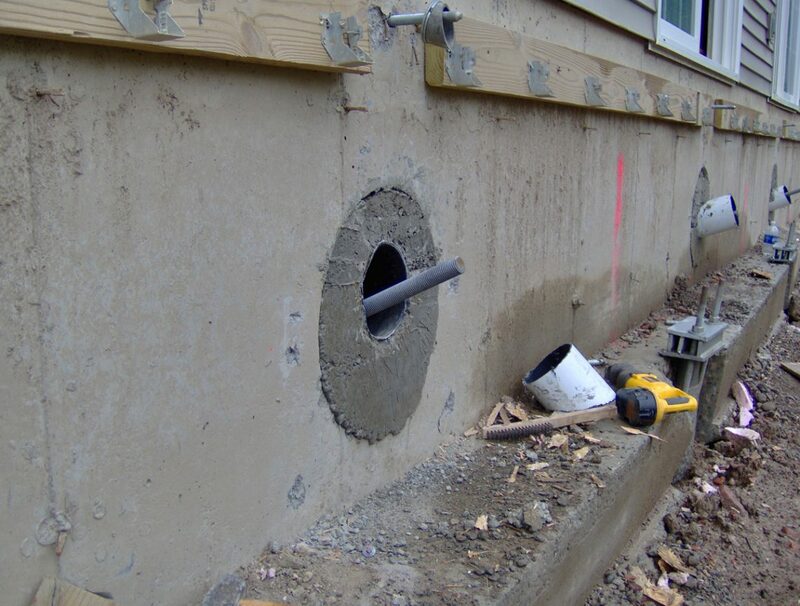 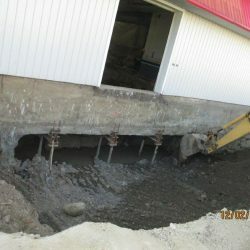 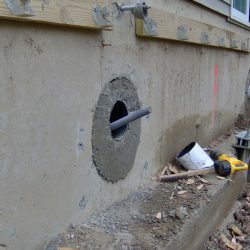 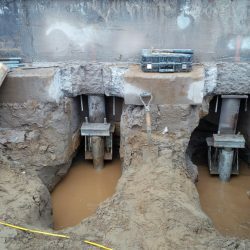 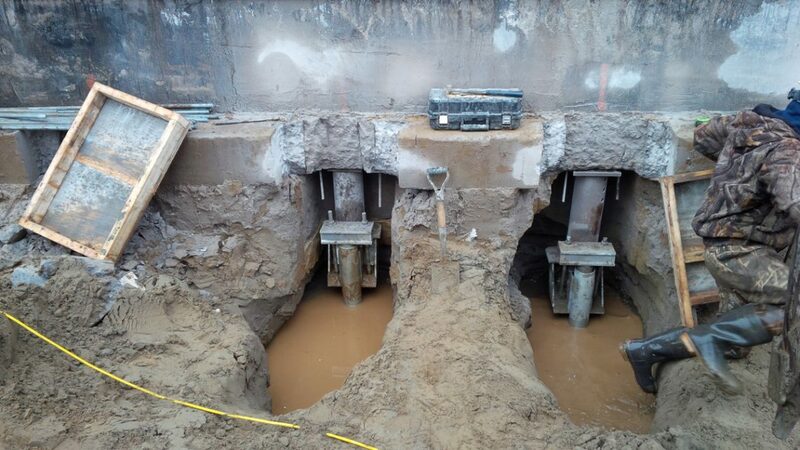 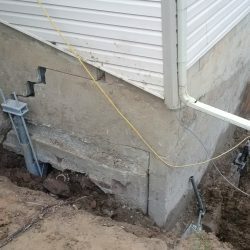 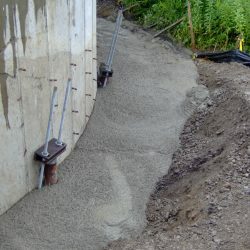 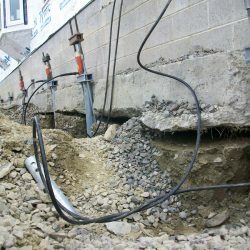 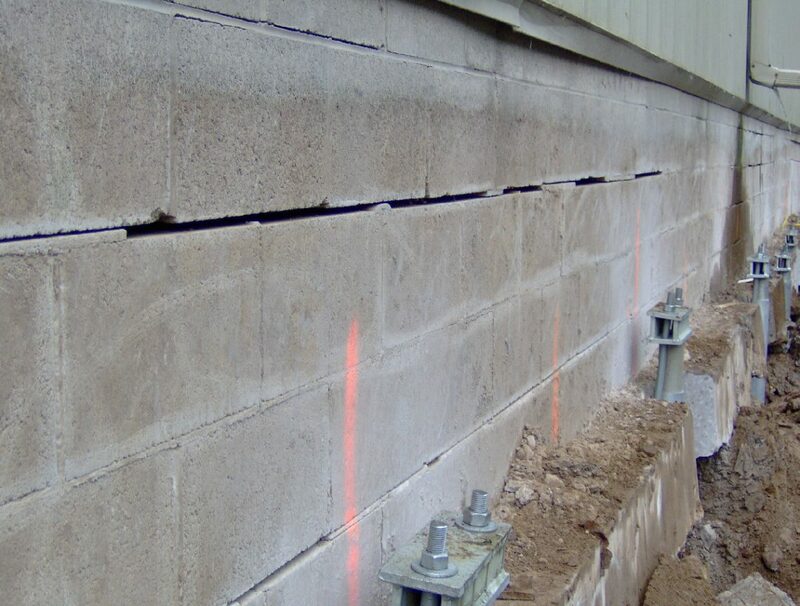 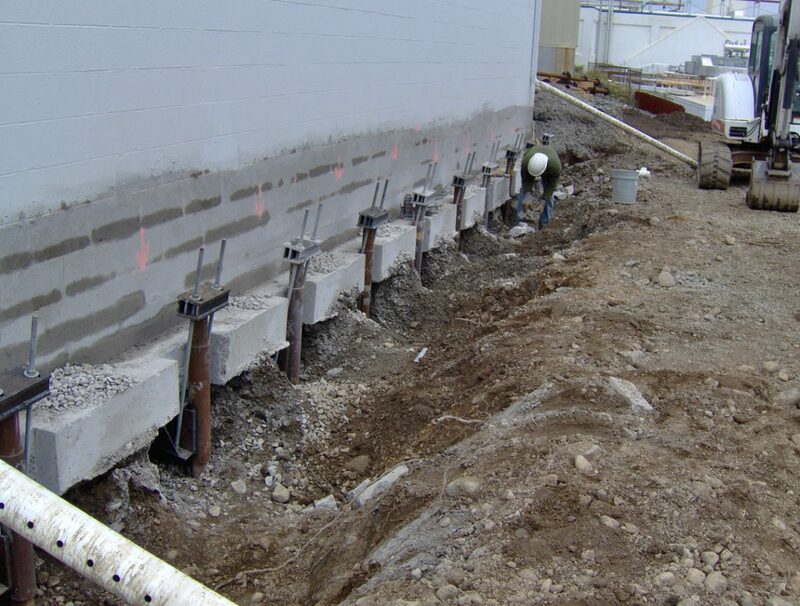 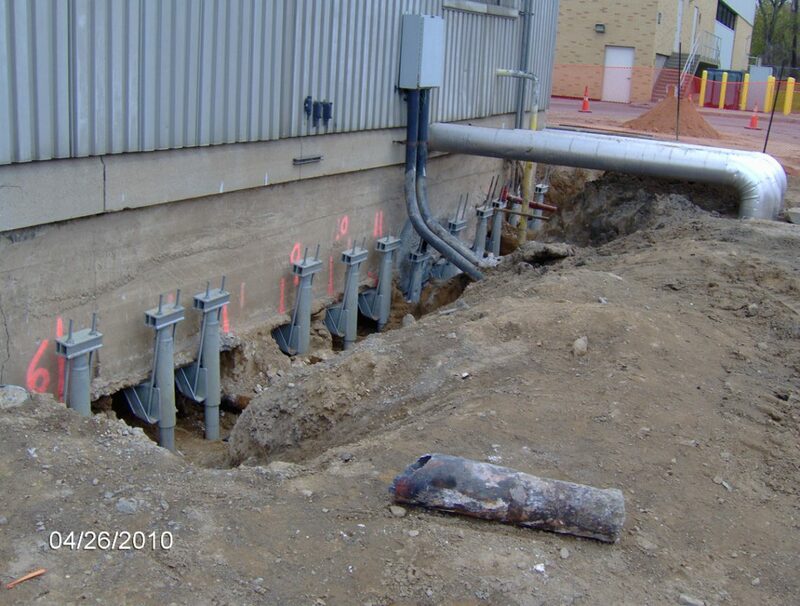 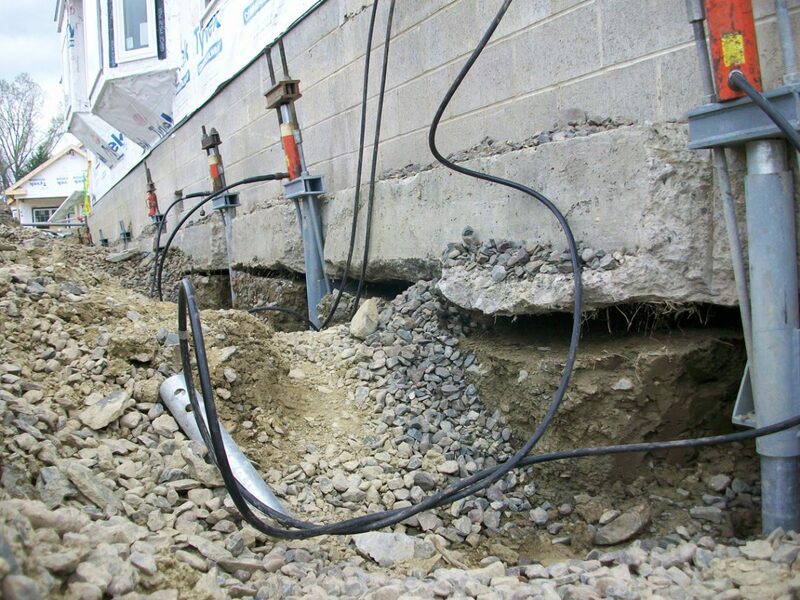 CMI was called in to perform specialized underpinning so that the material could be excavated out from under the foundation without causing any damage or settlement, and then backfilled to the original grade. 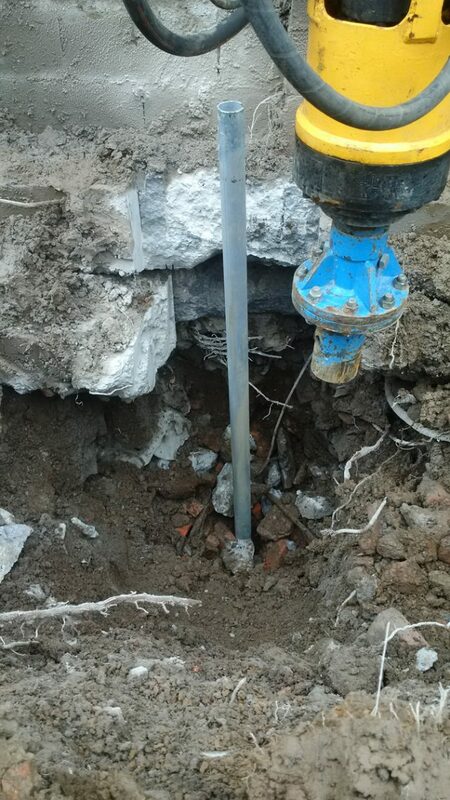 24- 3.5″ Dia. 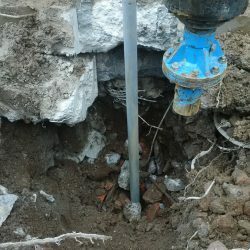 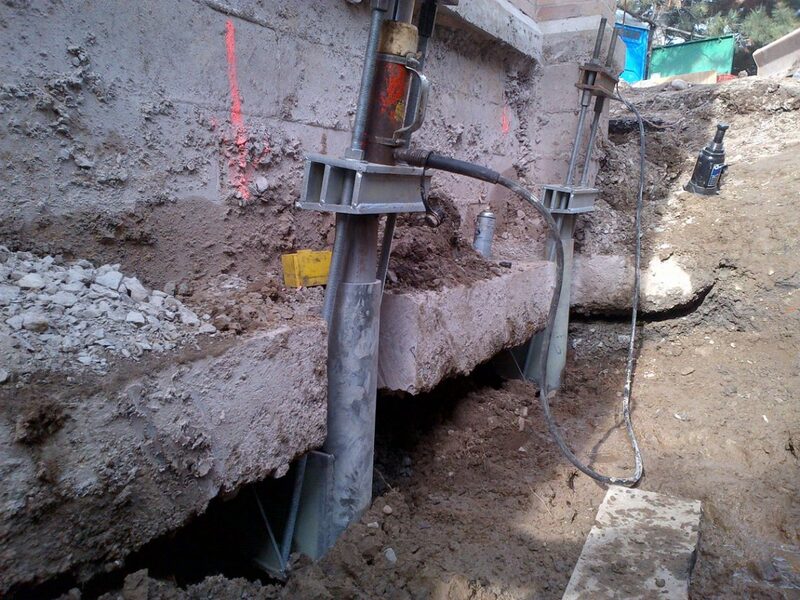 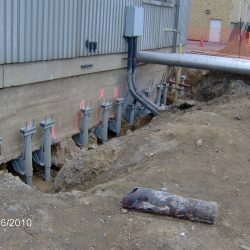 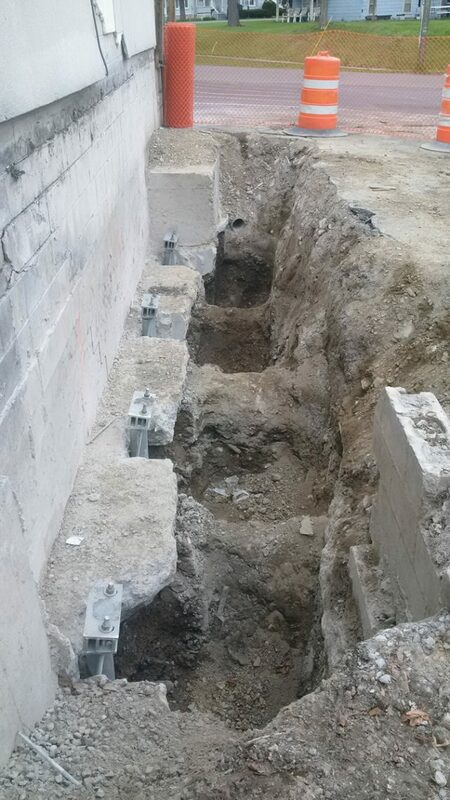 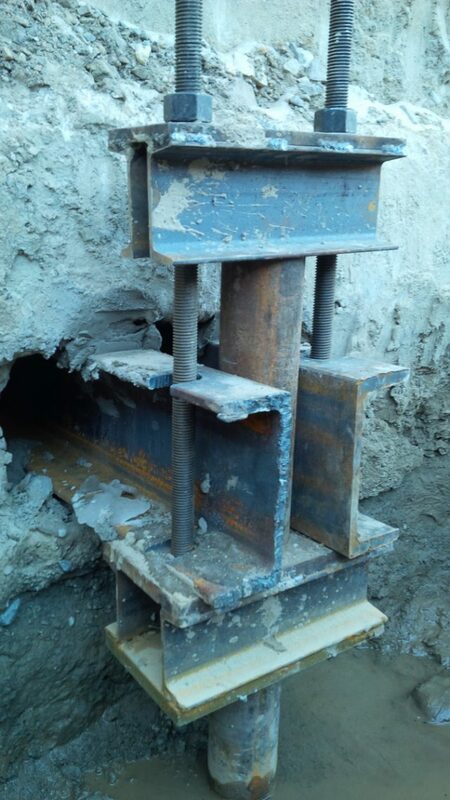 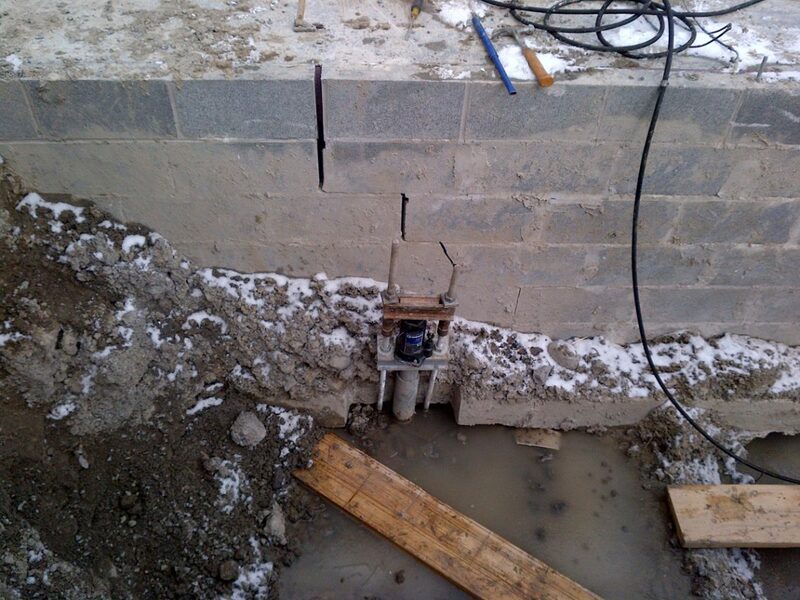 helical piles and custom underpinning brackets were installed. 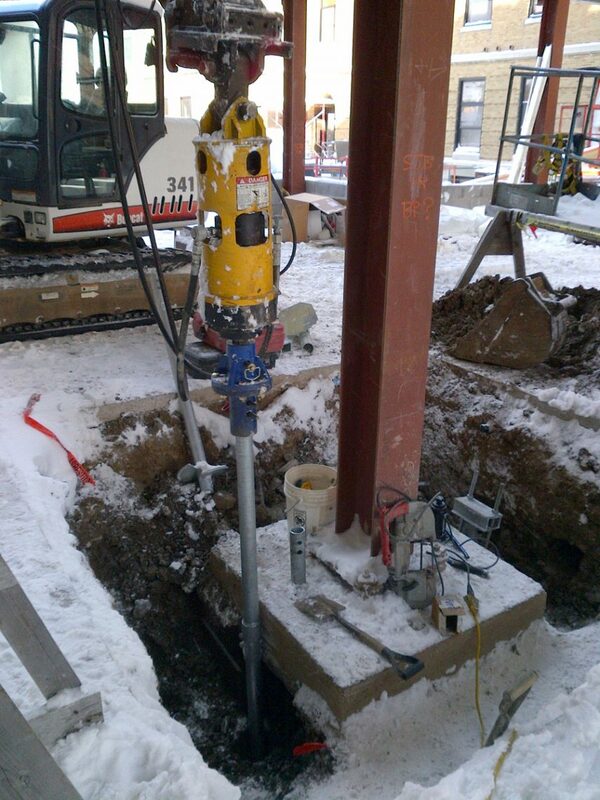 The load was then transferred to the pile/bracket system using 25 ton hydraulic cylinders. 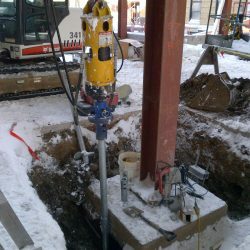 CMI used compact excavators and high torque drive heads to install the piles inside and outside of the building. 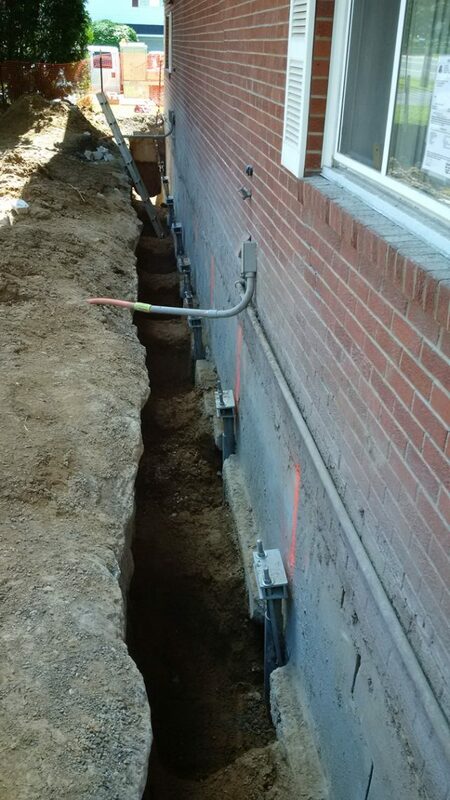 CMI was contracted to underpin this new townhouse that was built over unstable soil. 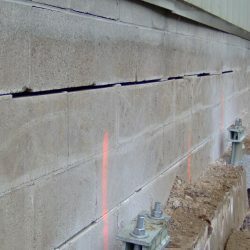 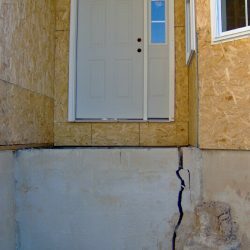 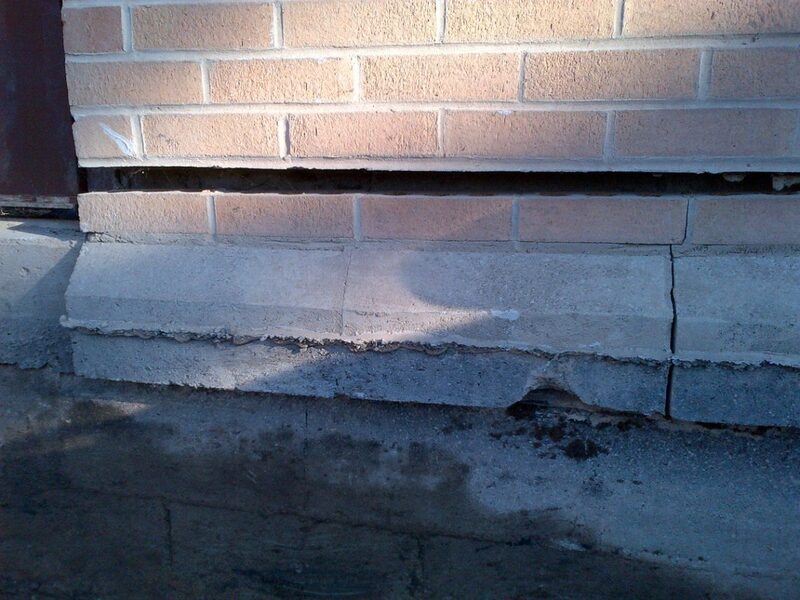 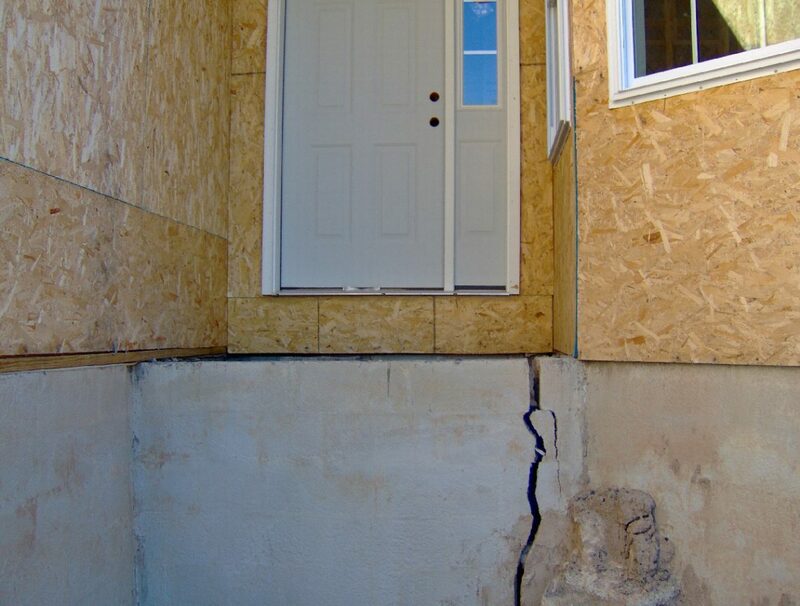 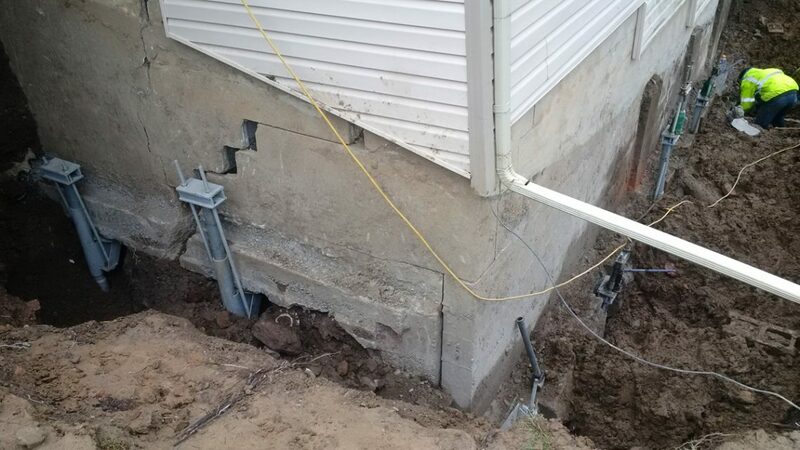 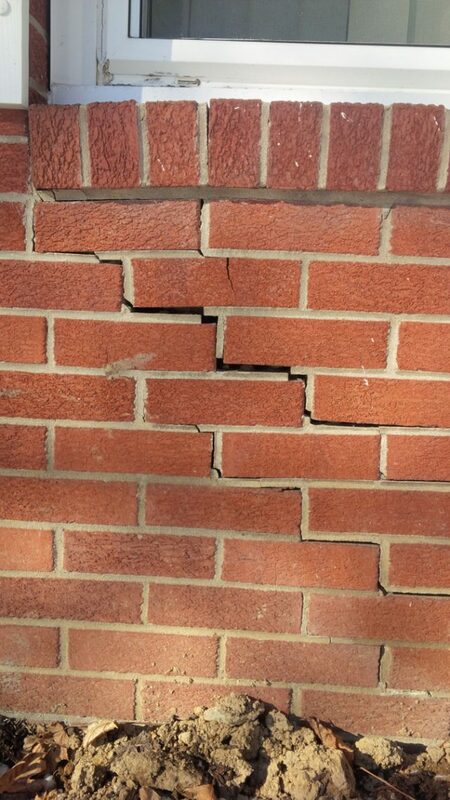 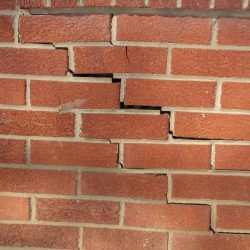 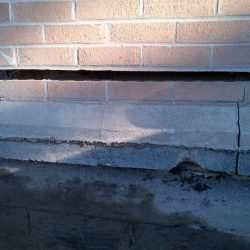 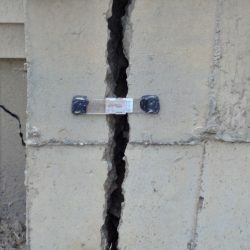 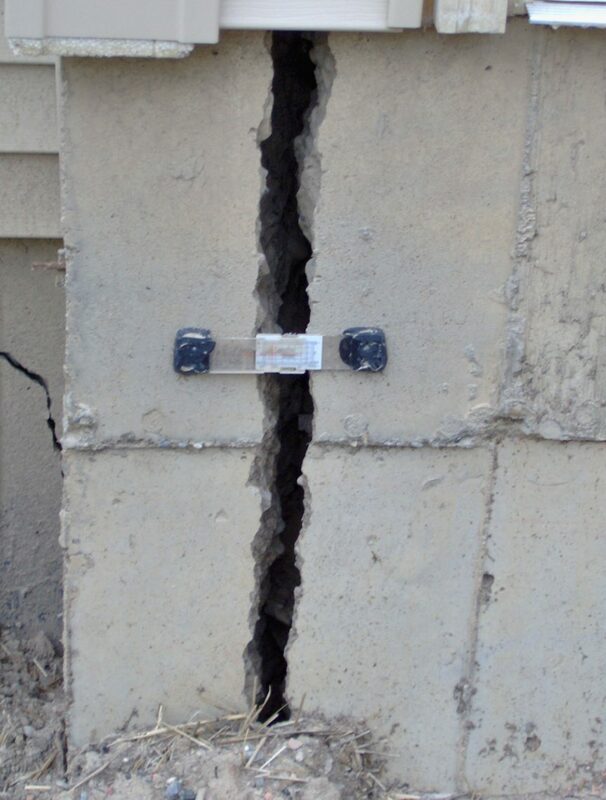 There was significant settlement causing foundation cracking and framing to pull apart. 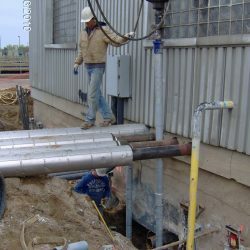 CMI installed 22- 2 7/8″ Dia. 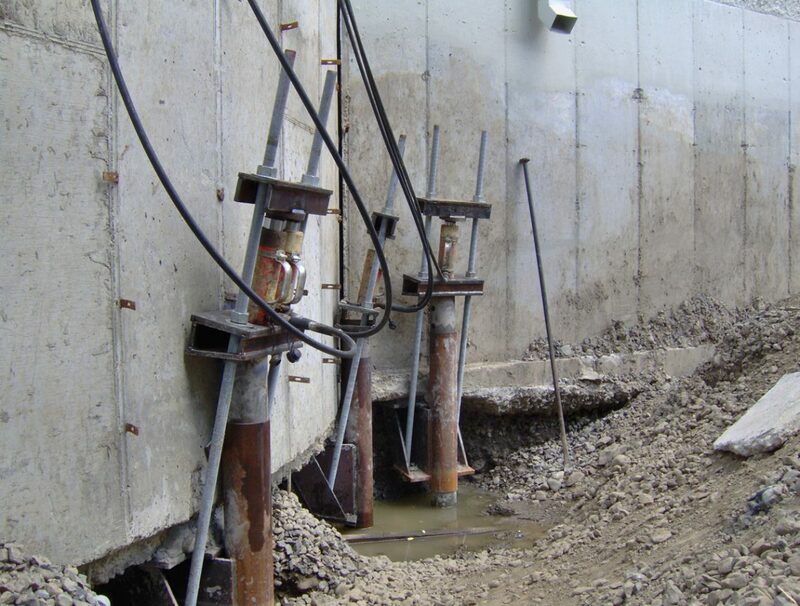 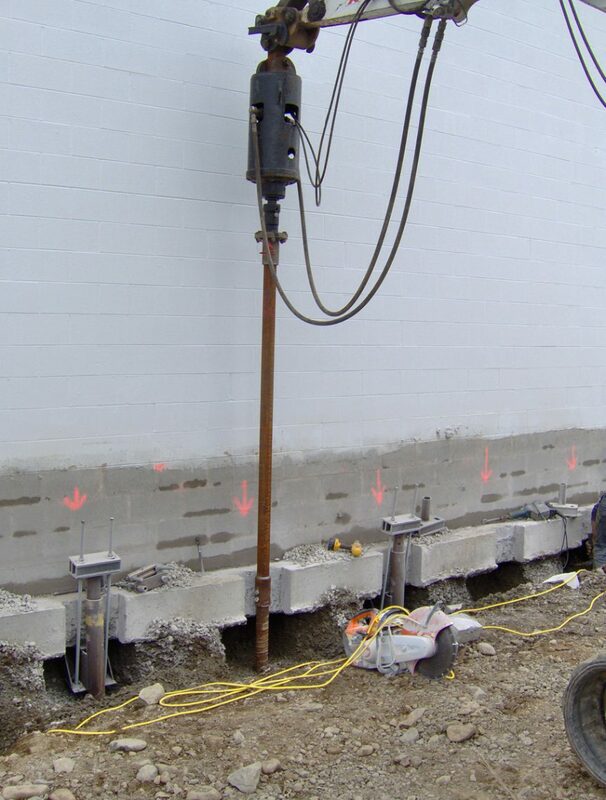 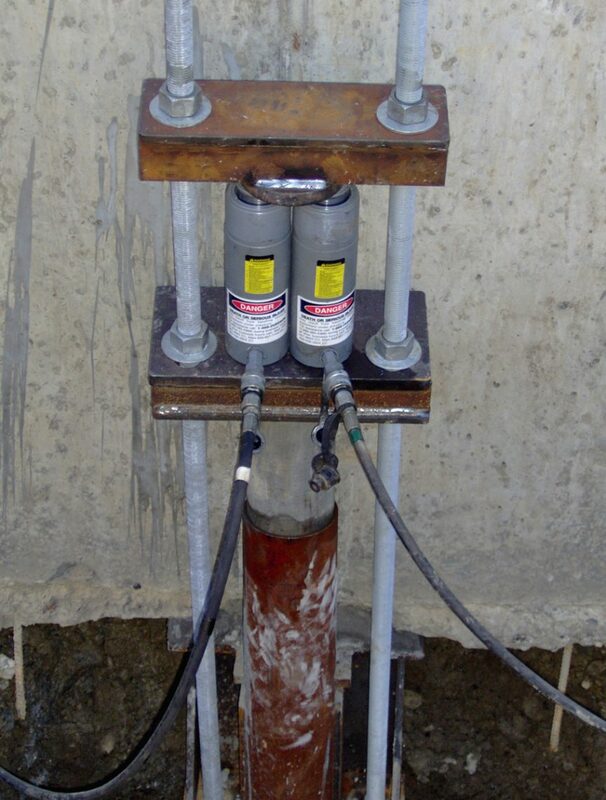 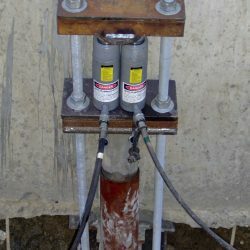 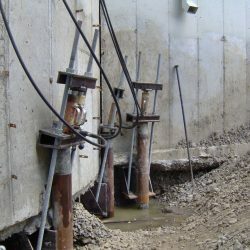 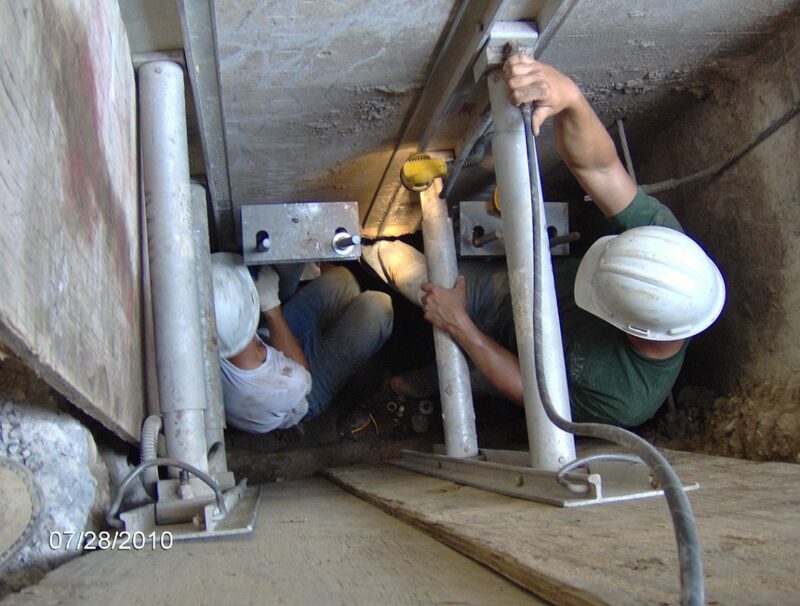 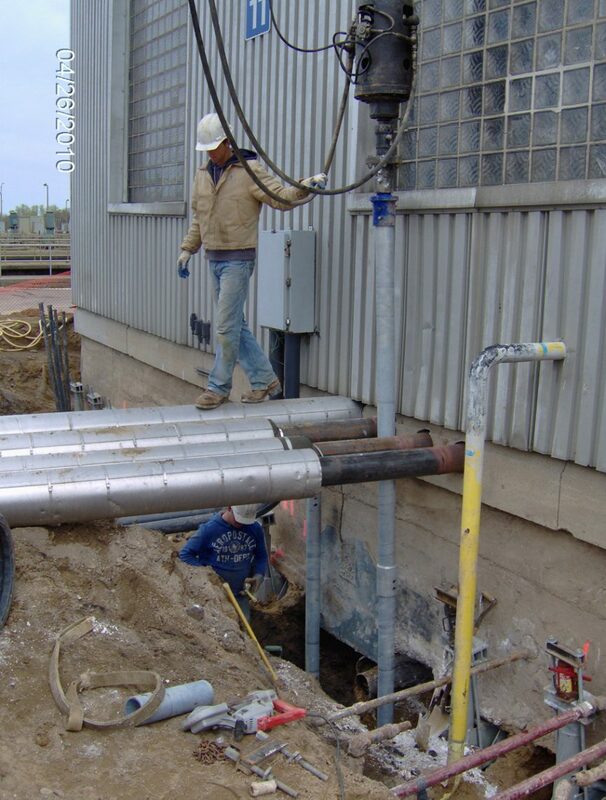 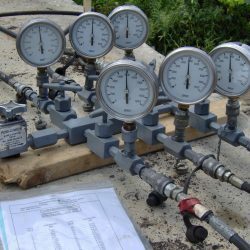 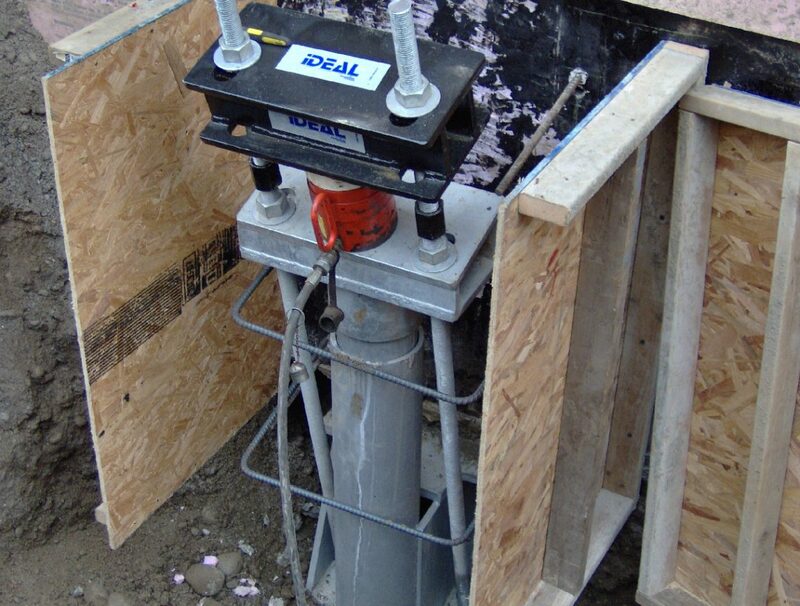 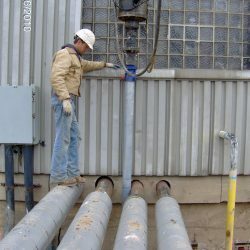 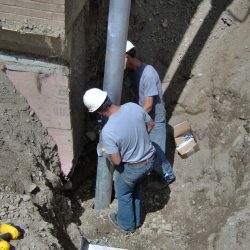 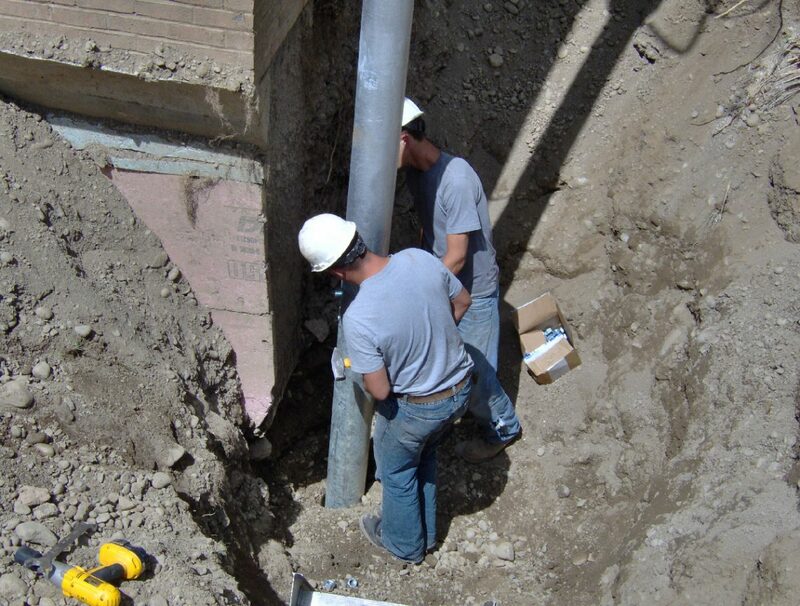 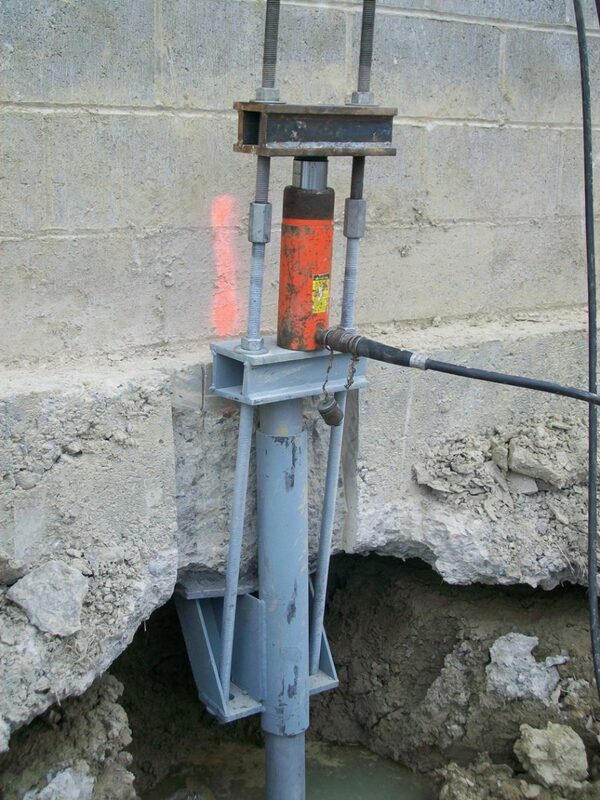 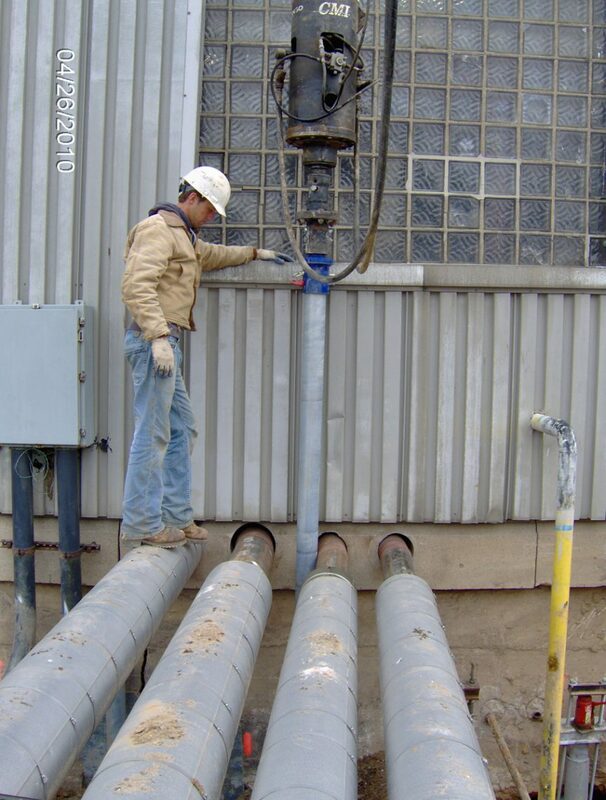 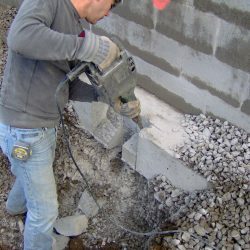 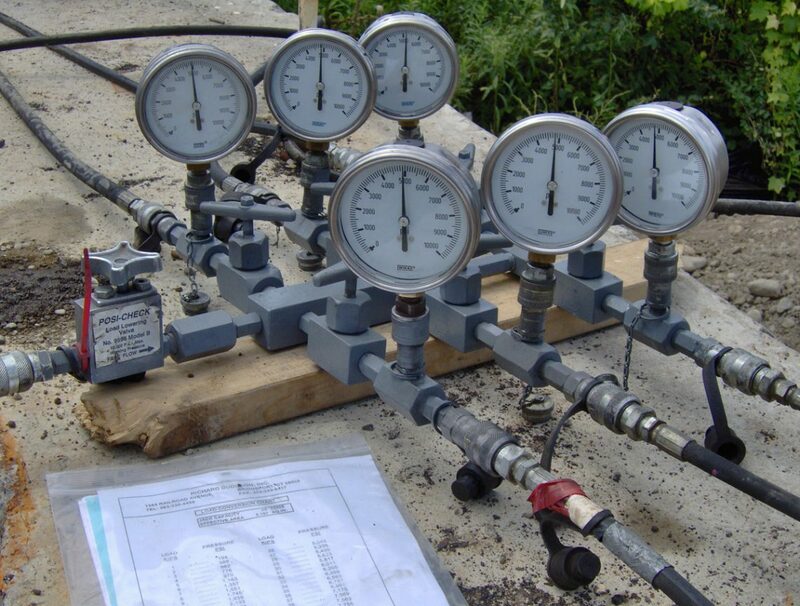 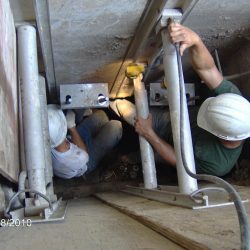 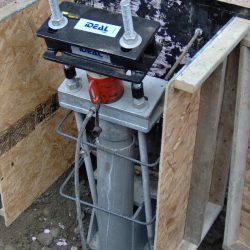 Helical piles and Counterforce underpinning systems. 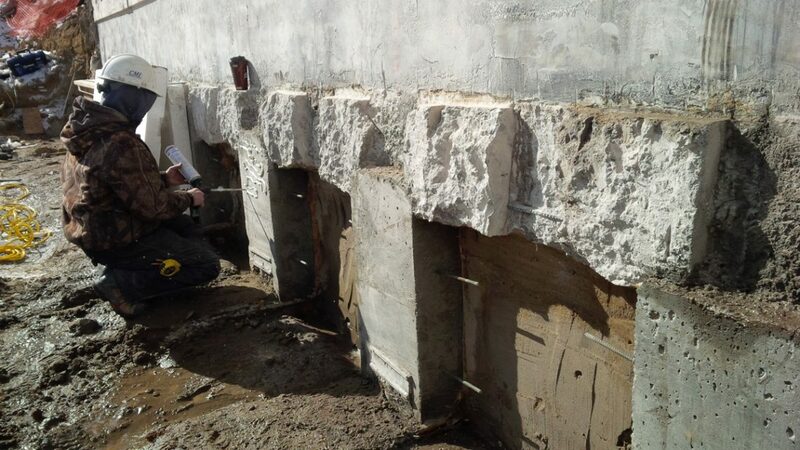 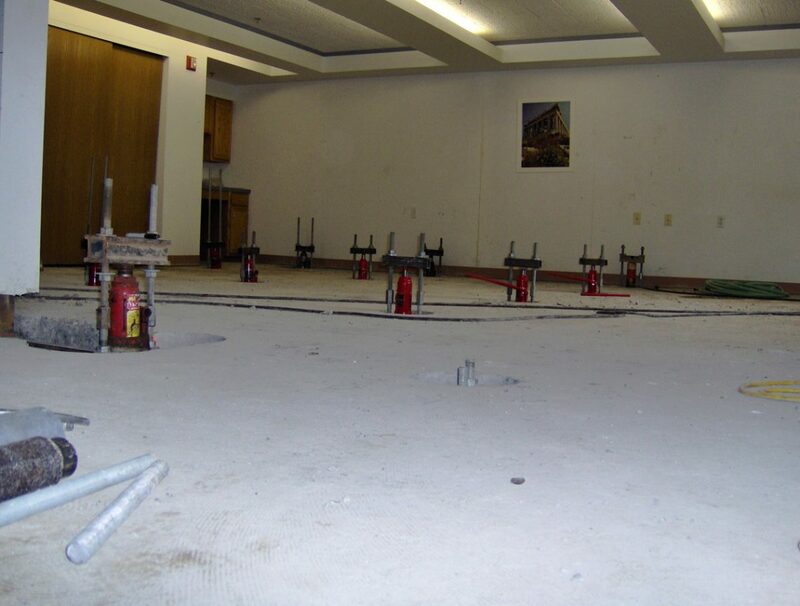 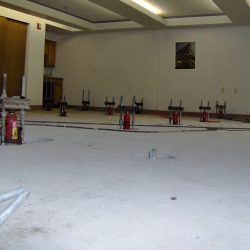 25 ton jacks were used to lift the structure to the original elevation and permanently stabilize the foundation.